The New Museum in New York City recently opened their latest Triennial, called “The Ungovernables“, an exhibition that “takes its inspiration from the concept of ‘ungovernability’ and its transformation from a pejorative term used to describe unruly ‘natives’ to a strategy of civil disobedience and self-determination. The Ungovernables is meant to suggest both anarchic and organized resistance and a dark humor about the limitations and potentials of this generation.” Judy Berman at Flavorpill writes of one of the most compelling qualities of the show, in that it “after a year that began with Arab Spring and ended with the global Occupy movement, this [focuses] on young people from around the world and their various ‘urgencies,’ while acknowledging that their particular concerns are only beginning to coalesce”. If you’re in New York, it seems very worthwhile a visit. 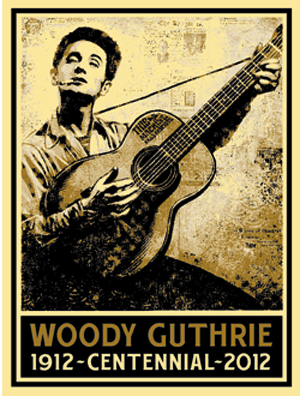 From our friends at the Woody Guthrie Archives, check out the new print designed by Shepard Fairey. 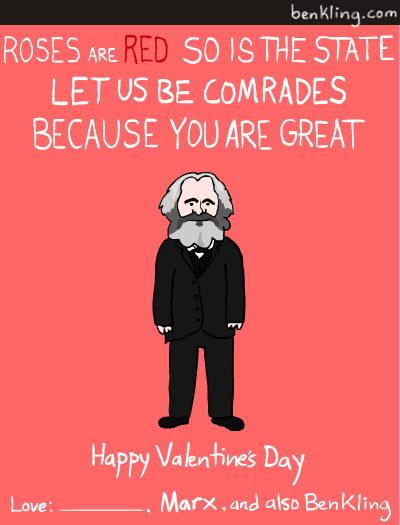 On this day of all things heart-shaped and/or fluffy, a look at the economics of Valentine’s Day, courtesy of Feministing’s Samhita Mukhophadyay (writing in The Nation).